This movie is definitely a film for an adult audience, but it is kind of fitting for Miyazaki’s final movie to connect more with adults who have grown older along with him. At least that is how I feel. We’ll always have classics like Totoro and Castle in the Sky, and it was great to see a grown-up epic as his last movie. 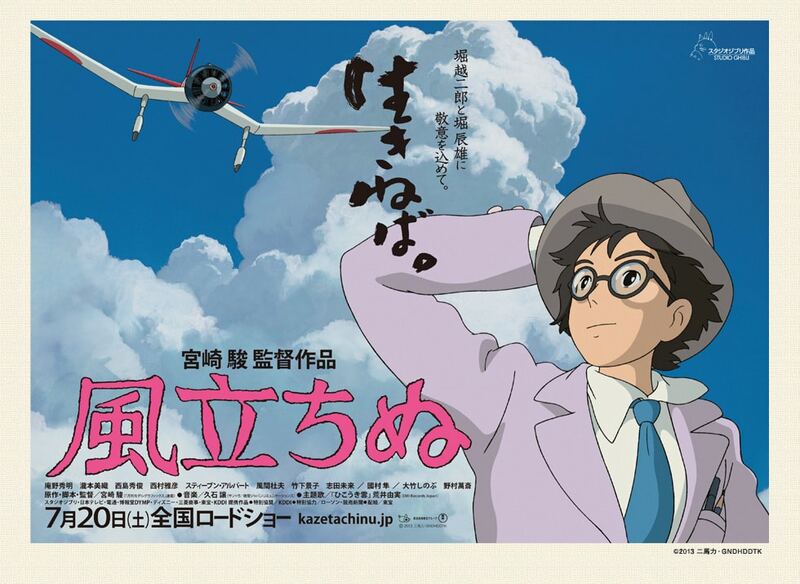 I was also happy to know that this film tugged at the heartstrings quite a bit too: *SPOILER ALERT* the scenes where Naoko returns to the sanatorium and Kayo reads the letter to her and at the airfield when Jiro realizes that Naoko had died… so sad! But when Jiro says “arigatou… arigatou” in his last dream… wow, have the tissues ready! The Wind Rises is near the top of the list of my favorite Miyazaki films, probably only behind Spirited Away and Kiki’s Delivery Service. If you haven’t seen the movie yet, what are you waiting for?